So, half marathon training has begun! 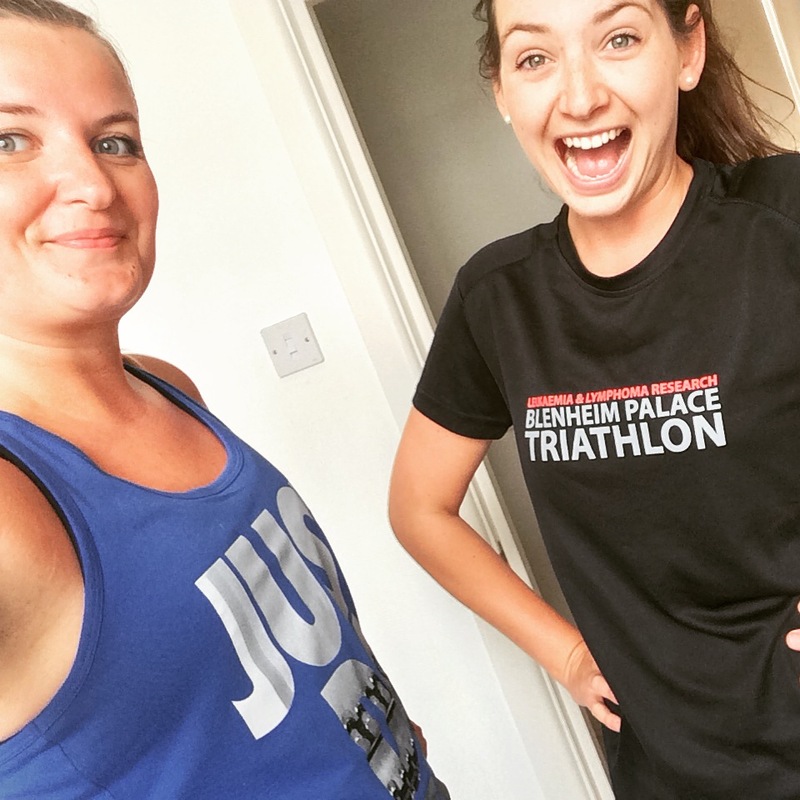 You may have noticed if you follow my Instagram (I’m sure there is a link below somewhere…) that I’ve signed up to run the Cardiff Half Marathon in October. My plan is to hopefully raise money for Leukaemia & Lymphoma Research (I’ll be setting up a Just Giving page in due course). My best friend’s Mum was recently diagnosed with diffuse large B-cell lymphoma AND nodal marginal zone lymphoma, because she has both, there hasn’t been much research into how to treat it. Leukaemia & Lymphoma Research work tirelessly to stop people dying from blood cancer and their researchers are also trying to stop people developing blood cancer in the first place. I don’t think I could have found a better charity, or one as close to my heart, to raise money for. If I’m going to torture myself, I’d be as well doing it for a good cause! So, my week in training. I felt like I hadn’t run properly for a while, so I was anxious about getting back into it. 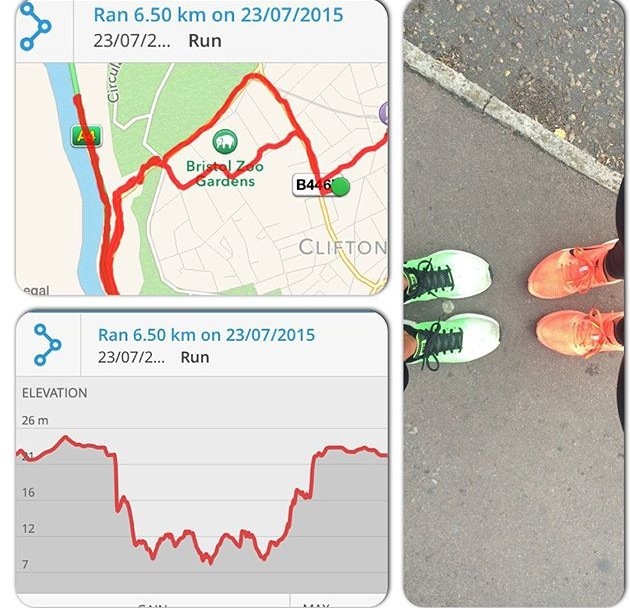 Sunday’s run was a nice easy pace with my friend Fliss; we just jogged and chatted and it was lovely! Monday’s run was a bit harder, I think running 8km the day before had tired my little legs out AND I’d only eaten a salad for lunch. A SALAD. So yes, running 5km and then doing CX works made me feel a little shaky. Moral of the story? FUEL YOUR EXERCISE. By the time I got to the 6km run on Thursday, well, I’m not going to lie, I was dreading it. To the point where I was doubting if I should even be attempting a half marathon. I clearly can’t run. So, my flatmate and I set off for a slow, easy run, but with a killer hill in there (cause it’s good for my training… eurgh) and you know what?? Not only did I run ALL the way up that hill in one go (that’s right, NO STOPPING! ), but we also did it quite fast! How did that happen?? I really need to be incorporating some weight sessions in to my training, but it’s so difficult to fit it in. Life kind of gets in the way! CX works is a good core workout, but I don’t want to neglect the weight training I started with my PT. So this week I’ll try to and fit at least one session in! But you know, I’m only on week one, so I think I’m off to a reasonable start, right? Approaching week two (okay, I’m in it), but any advice exercise people? What else should I be doing? Oh and please, please comment, share, like and/or follow. Or all of the above. I like to feel like I have friends. Oh and just one more thing, look out for a link to my Just Giving page, which will be coming soon! I promise that’s it this time. Previous Previous post: What I learned on my caravan holiday.